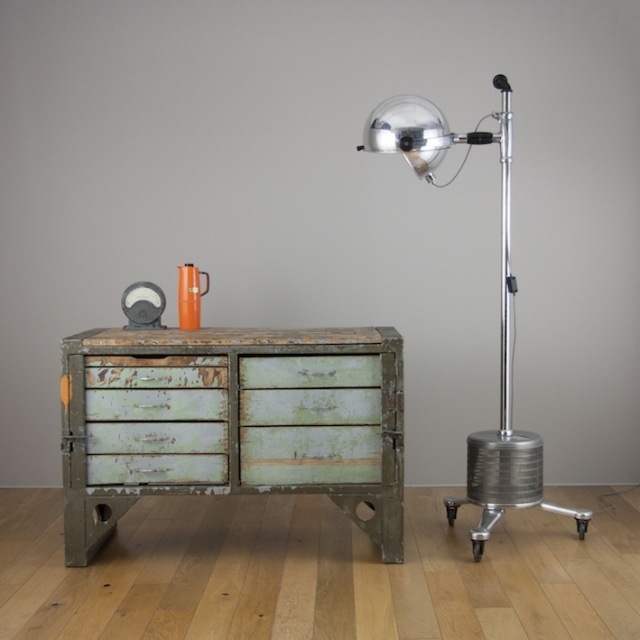 We have just added two new showstopping floor lights to our collection. These highly sought after pieces sell out very fast and they are certainly labours of love, each one taking many hours of careful refurbishment. Our second light is a real rarity- in fact it's the only one we have ever had. 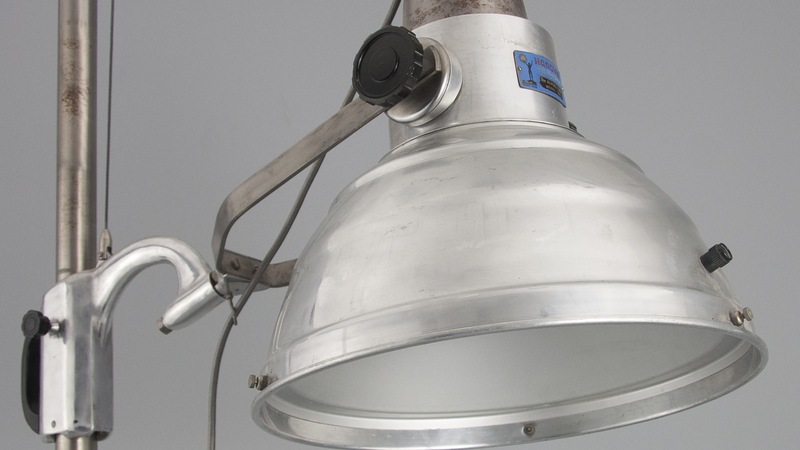 A 1950's dentists lamp from the Czech republic. 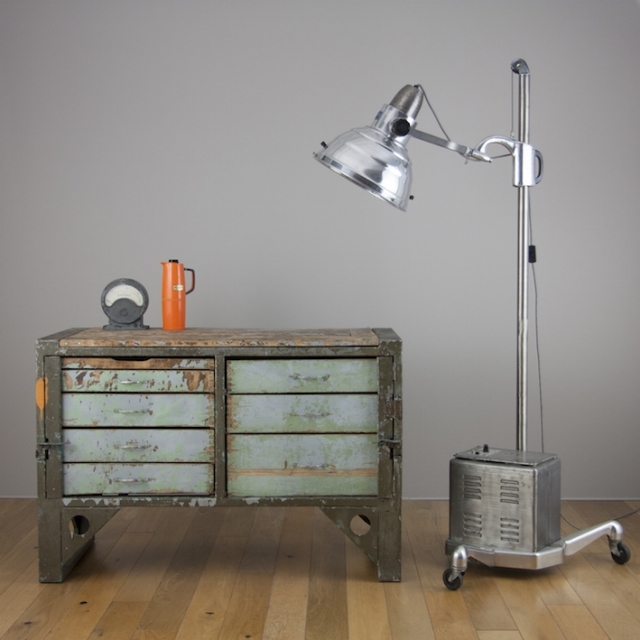 A real one of a kind piece, again fully modernised and refurbished to make it a stunning feature floor light. It's practical too, with adjustable height, rotational head and the ability to change the light level by opening and closing the 'ball' of the shade.